Finally in Print and Online! 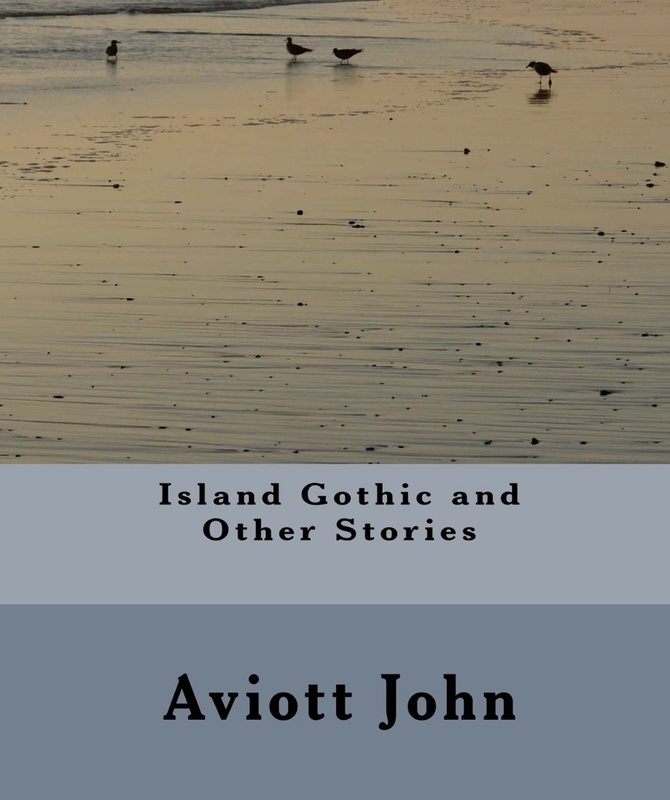 Island Gothic and Other Stories appeared last week on Amazon’s websites in paperback and Kindle editions. Kindle users: watch this space for advance notice of Amazon’s free download offers. Write now for a free review copy. Each of the stories in this collection takes place in a different country. The classic gothic tale is usually about castles, mysterious cloaked passengers in horse-drawn carriages, secret underground passages and beautiful, swooning heroines (Think Seven Gothic Tales, published by Isak Dinesen/Karen Blixen in 1934). The title story, Island Gothic, transports this ambience to a South Pacific idyll of the late 1930s. Politicians the world over invariably get a bad press. The Candidate is a sympathetic portrayal of the personal sacrifices they often have to make in pursuit of a career that consumes their private lives. China dominates world headlines today after three decades of unprecedented economic growth. All the more difficult to remember that for a turbulent decade, from roughly 1966 to 1976, the entire country went through a series of enormous upheavals that tore communities apart, destroyed centuries worth of history and culture, shattering countless lives in the process. Storm Conductor is the story of a violin virtuoso who manages to emerge, artistically intact, from the ashes of Mao’s Cultural Revolution in China. Katabatic winds are fearsome and frequently blow out of the large and elevated ice sheets of Antarctica and Greenland. In Greenland, these winds are known as the Piteraq. As high density cold air builds up over the ice sheets, enormous gravitational forces come into play, driving the air downslope at well over hurricane force, especially in the McMurdo dry valleys of the Antarctic. Antarctic Katabatic is a tongue-in-cheek persiflage that is in no way intended to belittle the real achievements of research scientists who advance the frontiers of human knowledge under Indiana-Jones-like conditions. On the contrary, this is a light-hearted tribute to the single-minded pursuit of scientific discovery at the ends of the world. In Stefan and the Song of Solomon, the amorous verse of the Biblical king pervades a little hut in the Austrian Alps and emboldens a shy young student of theology to declare his love. Adventures in the Hormone Trade is based on the early experiences of a wandering pharmaceutical salesman in rural South India. India is an idea, a composite of many countries within a common border, a veritable sub-continent. An identifiable Indian-ness has evolved over seven decades of independence. Nevertheless, urban and rural India are two different countries even today. The divide was even more pronounced in the 1970s, before the advent of television and cell phones. A traffic accident on a lonely road late at night proves to be a turning point in a young man’s life and attitudes. I hope you enjoy these stories. Feedback is welcome. Bulgarian artist Christo and his French wife Jeanne-Claude always claimed that their works of art had no deeper meaning than their immediate aesthetic impact. They were all visually impressive and controversial as well. How stupid and pointless to put up a fence running through the Californian countryside for forty kilometers! The fence needed 200,000 m2 of nylon fabric, 2050 steel posts and 145 km of steel cable. All this effort, four years of planning, countless hours in various courts arguing the case for the fence to run through public and private lands, to put up this fairy tale structure for two weeks! There was an exhibition in Vienna’s Secession art gallery documenting the four-year process that culminated in the installation of the 40 kilometer long running fence in California. The fences were undoubtedly beautiful, and their transient presence reminded the viewer of the purpose of the Mandala in Buddhism. After days or weeks of creating intricate patterns of a sand mandala, the sand is washed away in running water as a reminder of the impermanence of human existence. There was a documentary film as part of the exhibit that showed some of the court cases brought by property owners who feared loss of privacy or destruction of their land by the fence builders. In one case a farmer testified against the fence builders using pragmatic arguments; waste of resources, labor and money, all for a short-lived work of so-called art. The farmer’s wife spoke on behalf of the artists with a simple story. Your honor, I cook dinner for twelve people every day; my husband, my family and the farm hands. I take a lot of time and trouble to decorate the table and serve a beautiful meal. After each meal there is nothing left but a mess of dirty dishes. Does that mean my effort was not worthwhile? Of course not! I re-decorate the table every day. My daily effort is a labor of love. These artists deserve to have their fence, even if it’s only for two weeks. Today’s blog is dedicated to all those out there building your own running fences in your daily lives. Keep building them in the assurance that your fences enhance the beauty of your own particular countryside, the private landscapes of your lives, even if only for a moment. Keep building those running fences as a labor of love and they will have lasting value despite their transience. The land is flat and stretches for miles in every direction. I take a sip of my beer and nod my head. ‘It is good beer Karl,’ I say. Karl nods and takes a big gulp of beer and the foam spreads over his lower lip and his blond moustache. The summer sun drenches our skin with light and heat just as intensely as the short, sharp shower soaked us an hour ago. Now it is gone, the shower and all traces of it. Except for the steam that rises from the ground. The ground is soft now but soon it will become hard. As hard as the bicycle saddles. Soon the saddles will also become harder and then it will be good to find another Gasthaus in the woods like this one. It is good to rest, to take our weight off the saddles. It is luxury to stretch. Or as if he were the bird and had heard the cry. But the bird did not hear. For the bird is dead. And its calling is a silent call to my nostrils. And a call to my taste buds. My taste buds answer and I feel the good saliva on my tongue. Strong and sweet at the thought of the bird. I called to it and the waiter came. The waiter nods gravely and looks at us with respect. ‘You are right,’ he said. I nod at him, understanding. ‘The bird is good. The bird is for me.’ I look at Karl and I raise my eyebrows at him. Karl smiles, for he understands too. ‘And one portion for my friend too,’ I say as an afterthought and we both laugh, for I have read the thought in his mind, and the thought is: the bird smells good. It is always so with a good bird. First the smell of the cooking, and then the appetite. The appetite that has a mind of its own. The appetite that takes on the life of the dead bird and wafts on updraughts of air, breathing freedom. And Karl and I inhale the scents of this freedom and know that the bird is for us. It was a big bird and now it is a dead bird, and the bird is for us. That is the law of nature. The law that we must follow. And we follow it. Today we will eat the bird, and today the bird is good, the big, dead bird. And Karl and I are full of the knowing of the goodness of the bird, our plates are full of the deadness of this bird. And the cooked smell of its deadness wafts up to us from our plates. I look at Karl and Karl smiles at me. ‘Skol,’ he says, for his full name is Karlsson and Karlsson is a Swede and all Swedes say Skol before they drink. I do not know why this is so, this saying of Skol, but it is so. ‘Prosit,’ I say, for we are in Austria and this is a bicycle path in the Lobau. We are on a bicycle path in this wooded area so close to the city of Vienna, not in the vast distances of Karlsson’s native country. But Karl does not think like that, so he says Skol and not Prosit. In the Camargue, where I ride the white horses and the horses are wild, I would have said ‘Salut.’ But we are in Austria. So I say ‘Prosit.’ Karl smiles at me, chewing on the bird, and I see that he does not understand. But that is all right because Karl and I are friends. On days like these, friends will forgive each other anything, and it is good to be alive. There is the clear light of the day, the secret of the path as it winds through woods, past fields that smell of upturned earth. The river rushes close by, the Danube, the brown, forcefully flowing Danube. You don’t see it most of the time, but you know it is there. Like a friend. Like I look down at my plate and see only the bird. And I don’t look at Karl but I know he’s there. And there is goodness in the knowing and in the eating. Soon we are done and it is time to go on. The bird and the beer are mere memories now, like the remembrance of old friendship, like the sweet, sad song of past love. It is time to go on. The mud on the ground dries in the sun. The ground hardens under the blaze of the unforgiving sun and it is time to get into the saddle once more. It is good to know that the path goes on, and we must follow it. All the way to Passau in Germany if we care to follow it. It is a good path and our way ahead lies on it. And Karl and I are friends, and our friendship is good, and we will follow this path where it leads. IIASA, the International Institute for Applied Systems Analysis, is housed in a former Habsburg castle, Schloss Laxenburg, in the small town of Laxenburg (population 2,800), that celebrates its 625th anniversary as a municipality (Markt Gemeinde) in 2013. IIASA, at age 40, is a relatively new kid on the block, and needs to pay its respects to the older community within which it is embedded. One of the ways it does this is to open the castle doors to the public once a year, in cooperation with the mayor’s office, an annual “Tag der offenen Tuer.” These occasions are highly appreciated by the local community, some of whose older residents even played soccer among the ruins before the extensive renovations that restored the castle to its former grandeur. IIASA moved in at the same time and this cut off local access to the premises. IIASA is by now well established within the community, but few non-scientists are aware of the nature or importance of its research. Systems studies, with their extensive use of mathematical models, need lengthy explanations to show their relevance to solving real-world problems. These explanations often end up hopelessly entangled in technical language that lay people have no patience to deal with. As an analogy, imagine coming out of church after a Sunday sermon and being asked: So what does God say?! Enter Art. Artists, with their enhanced contextual and environmental awareness, can help to interpret the abstractions of IIASA’s research and graphically show its relevance to the important global issues in the world today; climate change, energy, population, food, water, forests and poverty; IIASA works on all of these. Organizing art exhibitions in the ideally situated Kaisergang corridor of the Schloss was a first step to establishing this Science and Art connection. See the link below for photos from a Vernissage in September 2012. In the 7 years of its existence, the Kaisergang Art Gallery has attracted attention from a small but growing public (mostly from Laxenburg and the surrounding communities) as well as from artists, both amateur and professional, who wish to exhibit their work in these regally rustic surroundings. The Kaisergang Gallery space is currently booked out till mid-2014. A next step might be to establish a regular artist-in-residence program, perhaps an honorary appointee for six months or a year at a time, who spends extended periods of time in Laxenburg to absorb and reflect some of the Institute’s work and intellectual challenges as works of art.